« A cool-down before things get red-hot!! Hardwood Throw-Down: Battle of the Boys!! Who’s ready for some holiday angina? There are no new basketball games until Jan. 4, so perfect time for some know-it-all in the bleachers to start ranking current and former players, and debating who would be better in their prime. Sadly, I was too young to experience the glory days of Coupeville boys basketball in the ’70s, and I spent 1994-2009 marinating in video store life, thereby missing another pretty good run of hoops highlights. What that leaves us is a showdown between two time periods when I was actively invested in following CHS basketball, game by game, player by player. My first run, from Jan. 1990 through the end of the 93-94 hoops season, is my Whidbey News-Times days. My second run covers the 2012-2013 season to today, and is my Coupeville Sports days. With that in mind, my picks for 10-man teams (delivered in alphabetic order), plus a wild card for each squad. And, of course, since we’re in the business of creating arguments, my prediction for who would win if both teams, in their primes, met on the hardwood. Ben Biskovich – The Scottie Pippen of his generation, a star willing to do all the little things to make everyone around him better. Ross Buckner – Would run through a wall for you, and tried, more than once. Sean Dillon – Could get you buckets any time, any place, any way. Frank Marti – Hard-nosed defender who could go off on offense at will. Jason McFadyen – Cerebral floor leader who was one of the best pure shooters in program history. Brad Haslam – The most imposing player I have seen in a CHS uniform, ever. A man, never a boy. Kit Manzanares – Confounding and electrifying. Often came close to giving his coach a stroke, but could bring the heat like few others. Gabe McMurray – A genuine superstar who could control a game like few other Wolves, before or after. Brad Miller – Big, bad and bald (thanks to a shaved head) – a scary man to run into down in the paint. Virgil Roehl – A rock, an absolute rock. Pulled the Wolves through a down period by putting them on his muscular shoulders. Now, we know he became one of the most dynamic players in CHS hoops history – an explosive scorer and world-class physical specimen. But, if we’re playing fair, he only saw the floor in a handful of varsity games during his freshman season in ’93-’94. If I stay at the News-Times another year, Petrov is a slam dunk to make the team. But I didn’t, so he didn’t. Anthony Bergeron – He blossomed from a quiet bystander to being his team’s leading scorer, and dunker, by his senior year. Aaron Curtin – Sweet shooter, quality passer, hard worker. Baseball and tennis were his calling cards, but don’t underestimate his hoops skills. Ben Etzell – An epic collector of bruises, gashes and black eyes, as he hurtled around the gym, refusing to believe he couldn’t catch up to every single loose ball and wayward rebound. Jordan Ford – Blue collar warrior who got most of his points off of rebounds and hustle plays. Old school work ethic in a new school player. Wiley Hesselgrave – Tough as they came; played like a bull careening through the streets of Pamplona, goring all the idiots who dared get in his way. Risen Johnson – Electrifying barely begins to describe his floor style, where he was always one step away from disaster, one step away from nirvana. Gavin O’Keefe – Injuries decimated huge chunks of his career, but when he was healthy, he was a gunner who hustled on every play. Hunter Smith – A killer in every aspect, his game would work in any era. Made everyone around him better, every night. Ethan Spark – One of the most dangerous shooters in program history, a guy who could knife you from any angle at any time. Nick Streubel – Football big man who cleared a path of destruction in the paint while showing a deceptively soft touch on his shots. A mere freshman, he leads Coupeville’s varsity in scoring, explodes with potential while redefining laid-back cool, and I could easily see him ending his career camped among the legends. He also has yet to play 10 games of high school ball. Come back in three years and we’ll have this conversation again. OK, this is not played today. Instead, this is a mythical game, where, thanks to time travel, all players are in their high school primes and step on the court at 17 or 18 years old. 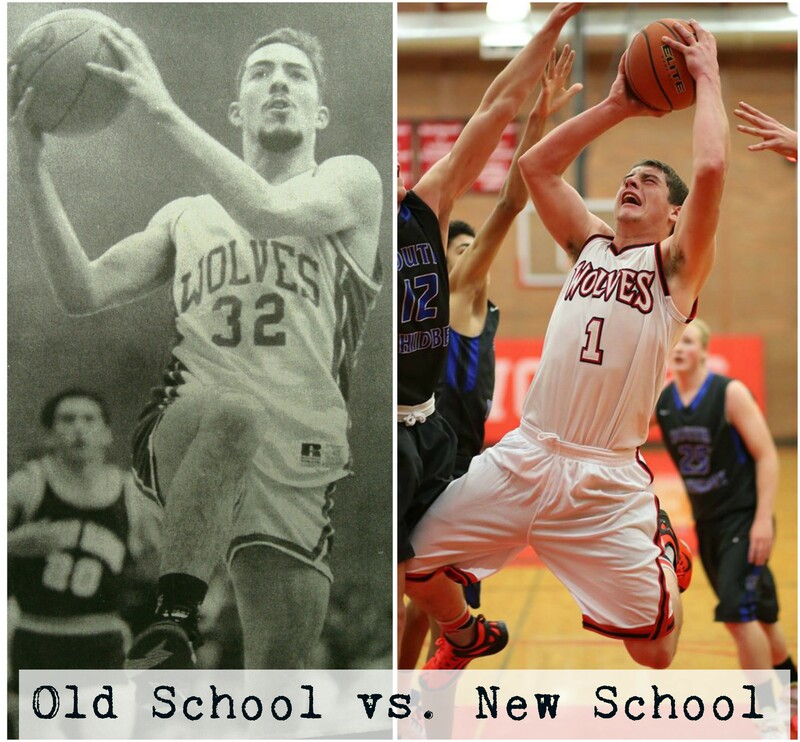 Old school beats the crud out of new school, and I mean that in two ways. The ’90s guys were just far more physical, top to bottom, and the modern-day guys would have major trouble dealing with big, bad brutes like Brad Haslam, Brad Miller and Virgil Roehl. Nick Streubel would not be easily moved, Jordan Ford is severely underrated for how effective he was in the paint, and Wiley Hesselgrave is as tough as any player, ever, but I saw the Brads play live. They were scary dudes in a way no modern Wolf player approaches. When they walked on the court, rival players started wincing before tip-off. Also, while Hunter Smith is the top scorer in this scenario – finishing 12th all-time among Wolf boys in career points — the older crew has far more genuine scoring threats. Gabe McMurray was a beast, Jason McFadyen could torch you from any place on the floor and Roehl was a tower of power who dominated on the offensive glass. The young guys have Hesselgrave, but he was more a grinder than a streak scorer, and Ethan Spark, while a great shooter, would be catching elbows to the chin all game from the ’90s guys. I don’t think it would necessarily be a blowout, but if I’m betting a crisp fiver on the result, I know where my money goes. It goes on the old school bruisers.